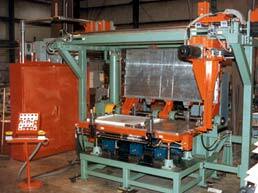 The two machines pictured above are used as lab machines for custom foaming applications. 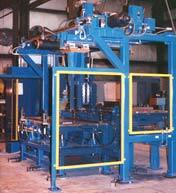 The servo driven foam head is capable of producing any number of custom foam pour patterns to various door sizes. 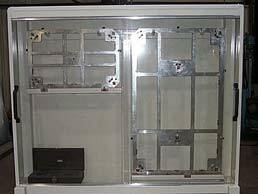 The two views above show the door crowding tooling, locking mechanism, and push-off in one of our portable foam fixture designs. 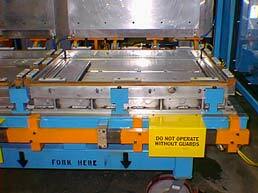 This foam fixture was designed with casters for portability and intended for use as a self contained foam system with PLC logic to control machine functions such as lid open/close/lock functions and door push-offs as well as temperature control and cure time. 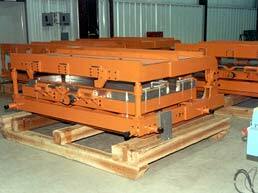 This drag chain style foam system was used to process SxS doors. 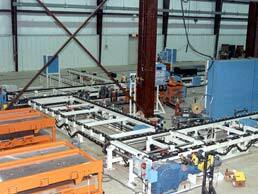 Conveyor system for foam application being set up on our floor as well as two foam fixtures. 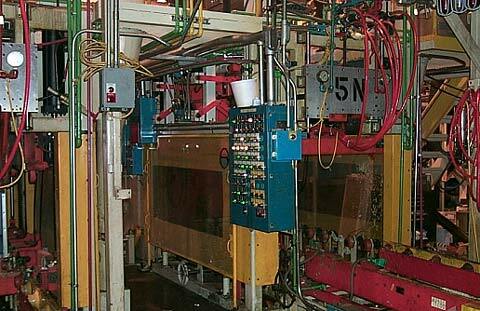 Here you see a rotary dial foam system being tested on our floor. 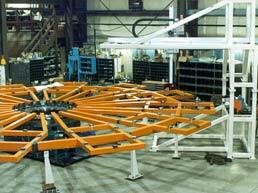 This foam fixture system had a 32ft diameter dial table containing 12 foam fixtures. 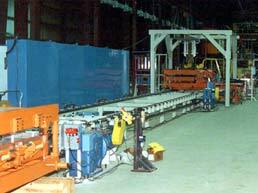 Foam heads were servo actuated with servo door load and unload from the system. 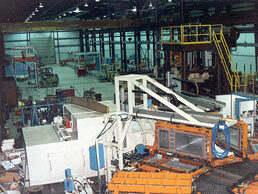 MLS Systems has designed and built foam fixtures of various sizes and types. Above you see two fixtures with one designed for SxS doors and another for top mount doors. 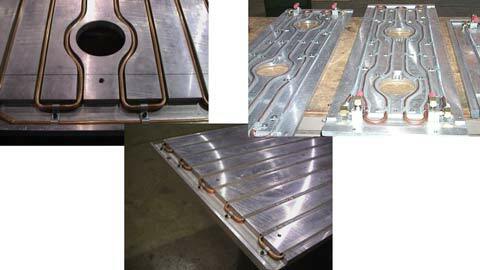 MLS Systems has built fixtures which pass through ovens for foam curing as well as fixtures which only heat mold plates which contact the surface of the doors. 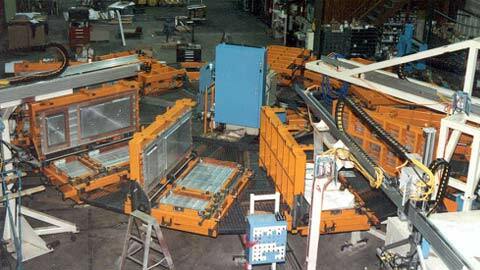 Door foam fixture under construction on our floor at MLS Systems. Here you see a rotary dial foam system being tested on our floor. 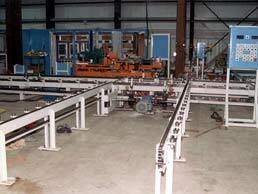 MLS Systems has performed retrofit work on many existing cabinet foam lines. 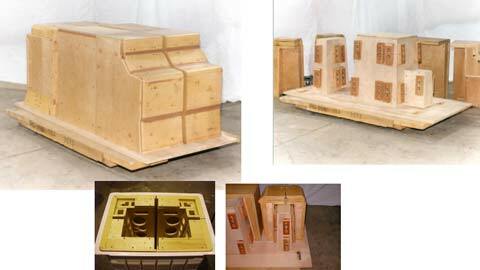 We have also built many new cabinet foam systems. 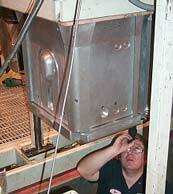 One of our skilled technicians inspecting a foam fixture during a retrofit project on a case foaming system. 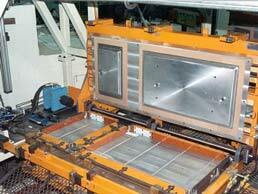 This foam fixture was designed for prototype work and low volume production. This fixture was designed to be portable and flexible with adjustable lid lock heights and foam pour angles. 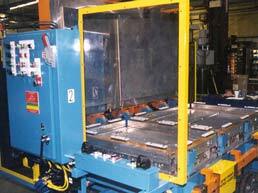 This gage is designed to check tooling location on a cabinet liner foam fixture. 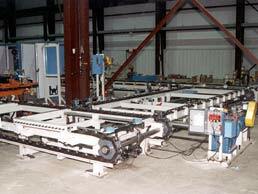 MLS Systems has gage making capability. 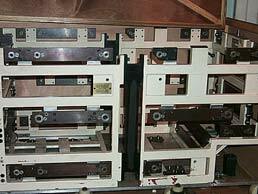 These gages were designed to check door foam fixture cavities to insure dimensional consistency of doors from fixture to fixture on an MLS Systems built foam system. 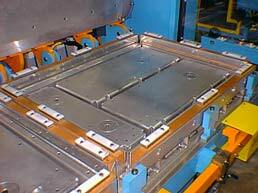 Prototype foam fixtures built to test case foam properties before the final production tooling is built.